Inanna Poetry & Fiction Series, 9781771335294, 348pp. 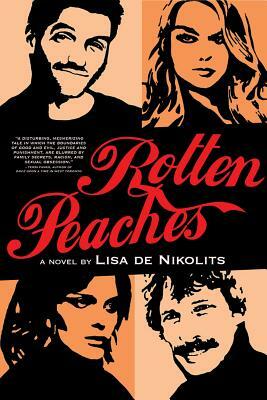 Rotten Peaches is a gripping epic filled with disturbing and unforgettable insights into the human condition. Love, lust, race and greed. How far will you go? Two women. Two men. One happy ending. It takes place in Canada, the U.S. and South Africa. Nature or nurture. South Africa, racism and old prejudices -- these are hardly old topics but what happens when biological half-siblings meet with insidious intentions? Can their moral corruption be blamed on genetics -- were they born rotten to begin with? And what happens when they meet up with more of their ilk? What further havoc can be wreaked, with devastating familial consequences?